Affordable long-runner. The low price is not the most striking property of the EasyNote TF71BM. It primarily attracts attention with its long battery life. The Bing version of Windows 8.1 enables laptop manufacturers to offer their devices cheaper than before. Consequently, an increasing number of 15.6-inch laptops with Windows are found in the below 300 Euros (~$384) sector. 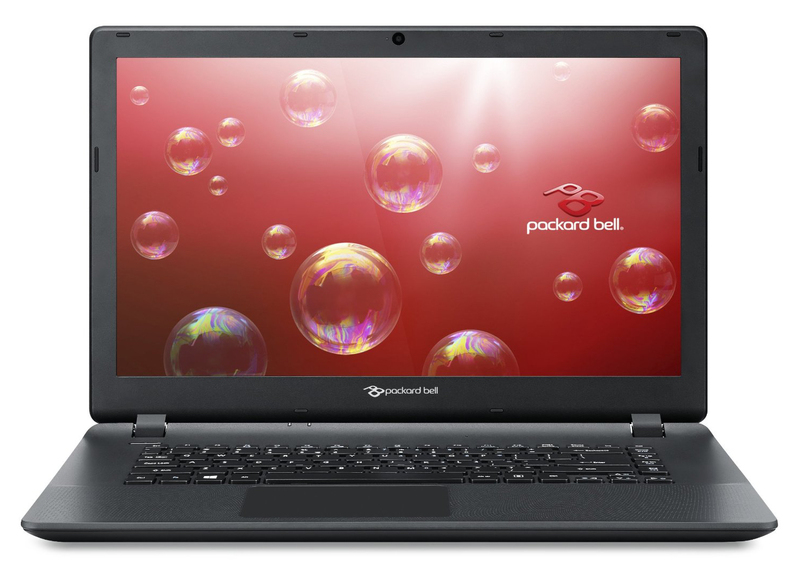 Packard Bell's EasyNote TF71BM-C8R1 belongs to these devices. Our test shows just how much laptop the buyer gets for a price ranging from 250 to 270 Euros (~$320 to ~$346). All low-priced laptops are contenders of the EasyNote. We would, for example, name the recently tested Asus X551MAV-SX391B, Lenovo B50-30, and Lenovo G50-45. The EasyNote's casing is comprised of black, matte plastic. The wrist rest and lid's back are additionally textured. The base unit exhibits the usual weak points that we encounter in many devices. 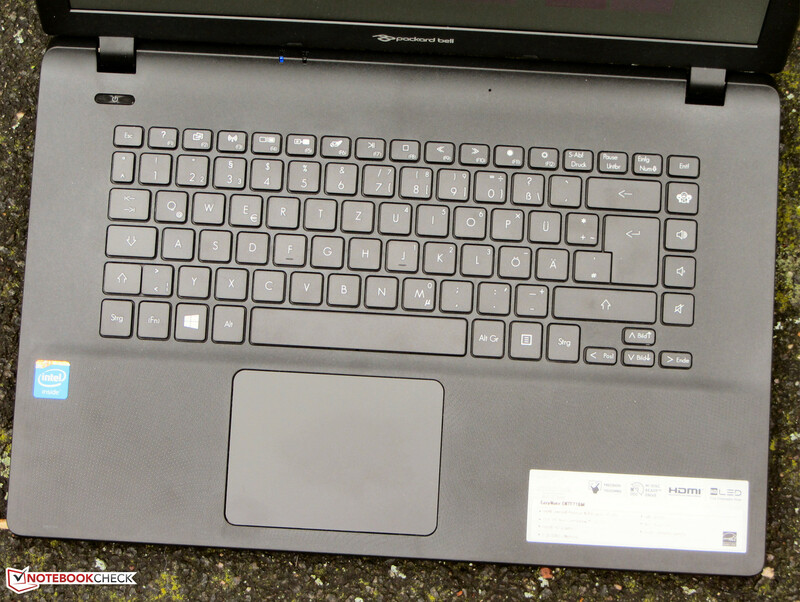 The casing can be dented slightly beside the keyboard and under the touchpad. We also find that the base unit can be twisted a bit too strongly. That is all the more true for the lid. The EasyNote does not have a maintenance cover, but opening the casing is nevertheless possible. After removing all screws from the device's underside, the top side of the base unit can be carefully levered off. Note: The upper part is connected to the motherboard via various ribbon cables. The motherboard also has to be removed to replace the installed working memory module for a larger model. The connectivity does not present any surprises. 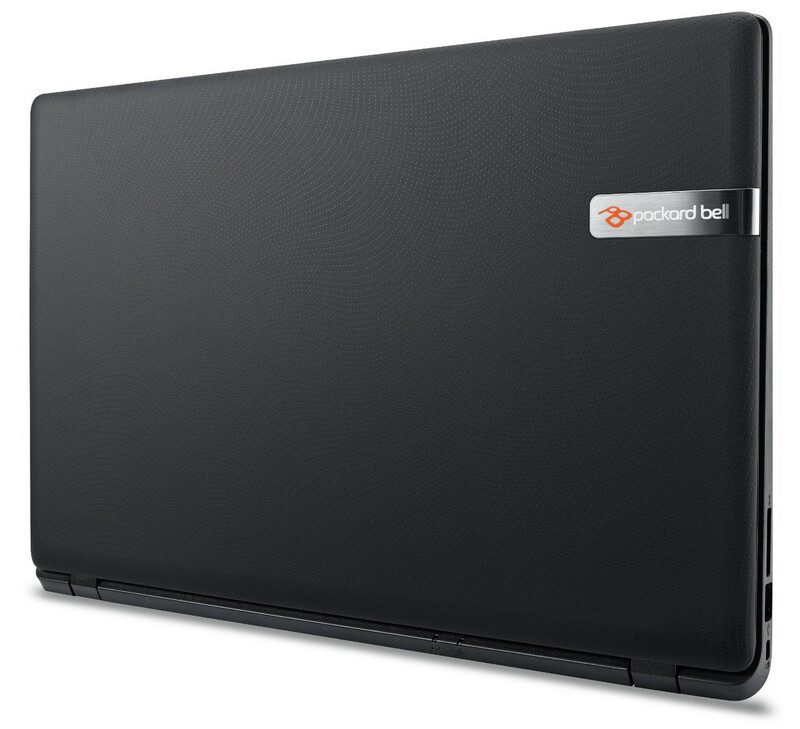 The most necessary ports are installed, but Acer ("Packard Bell" is a brand from Acer) has positioned most interfaces to the laptop's rear. On the one hand, this keeps the desk neat and tidy and the areas beside the wrist rest remain free from cables, but on the other hand, using the ports is rather uncomfortable. Left: Kensington lock slot, USB 2.0, memory-card reader. The DVD burner is on the right. Rear: power socket, combo audio, USB 2.0, USB 3.0, HDMI, Gigabit Ethernet. The EasyNote is equipped with an unlit chiclet keyboard without a number pad. The level, roughened keys provide a normal drop and clear pressure point. The keyboard yields slightly when typing on it. All in all, Acer supplies a decent keyboard that also allows frequent typing. The multi-touch ClickPad has a size of approximately 10.6 x 7.8 cm. The large surface enables using gestures easily and has a short drop and clear pressure point. The pad's suave surface makes it easy for the finger to glide over it. The 15.6-inch screen in the EasyNote features a matte surface. Its brightness of 176.7 cd/m² is meager. However, the screen offers a good contrast (532:1) and black level (0.37 cd/m²). The screen's average DeltaE 2000 shift is 8.93 in state of delivery. That is in line with the laptop's price level. A rate less than 3 would be desirable. The screen also exhibits a bluish cast. The EasyNote outdoors (shot in overcast conditions). The TN screen in the EasyNote can only offer limited viewing angles, but we did not expect anything else at this price level. The screen's matte surface makes outdoor use possible. However, that only applies to surroundings that are not overly bright due to the screen's low brightness. 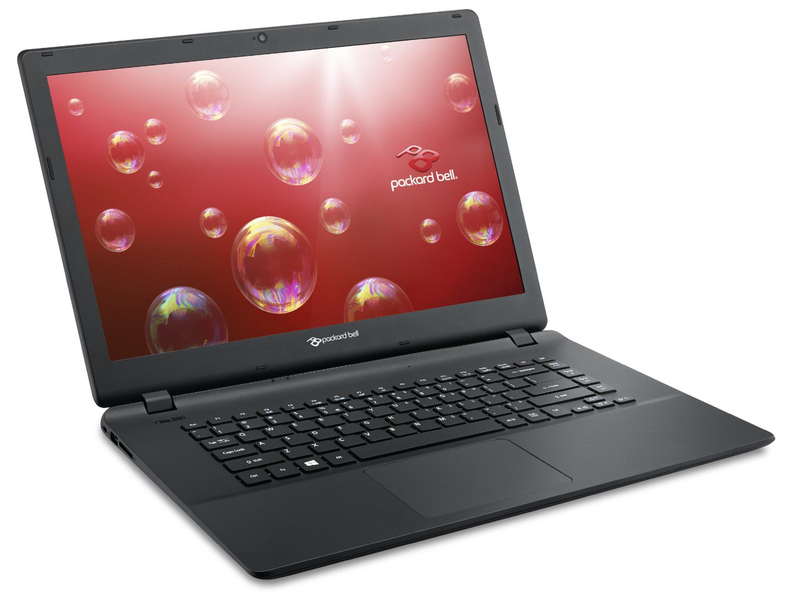 The Packard Bell EasyNote TF71BM-C8R1 is a very low-priced, 15.6-inch laptop. Its primary application fields are office, Internet, and video playback. Our review sample is sold for a price starting at around 250 Euros (~$320). Another version with 4 GB of working memory is available for approximately 330 Euros (~$423). A Core processor cannot be expected in a laptop for approximately 250 Euros (~$320). 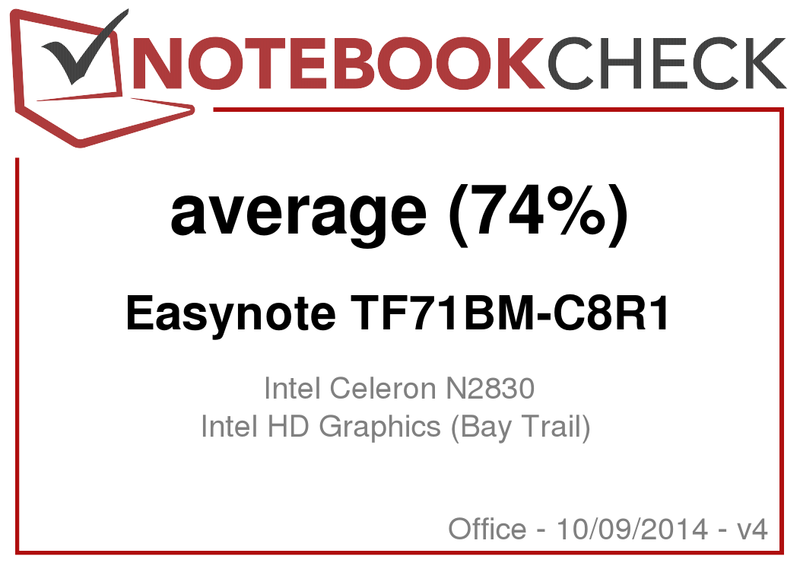 Thus, an Intel Celeron N2830 dual-core processor (Bay Trail) is installed in the EasyNote. 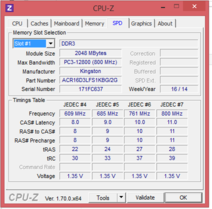 It clocks with a base speed of 2.16 GHz that can be increased to 2.416 GHz via Turbo. The CPU's full performance can be retrieved in both AC and battery modes. The CPU's performance is roughly positioned between the E-Series and A-Series APUs from AMD. 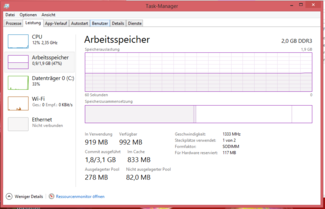 Subjectively, the laptop runs smoothly although it only has 2 GB of working memory. The memory configuration is first noticed when multiple windows are open. Users who need more working memory will have to replace the installed module with a 4 or 8 GB module. Acer informed us that there is only one working memory bank available. The PCMark benchmark scores were unsurprising and are on the level of comparably equipped laptops, such as Asus' X551MAV. The user gets quite a bit of storage capacity despite the low price. A 500 GB hard drive from Seagate with 5400 revolutions per minute is installed in the laptop. The drive does its job inconspicuously and delivers overall good transfer rates. The HD Graphics core in the laptop also comes from Intel. It supports DirectX 11 and clocks with speeds of up to 750 MHz. It does not have much computing power. AMD's GPUs like the Radeon R4 (Beema) and Radeon R5 (Beema) that are found in comparable laptops are considerably stronger. 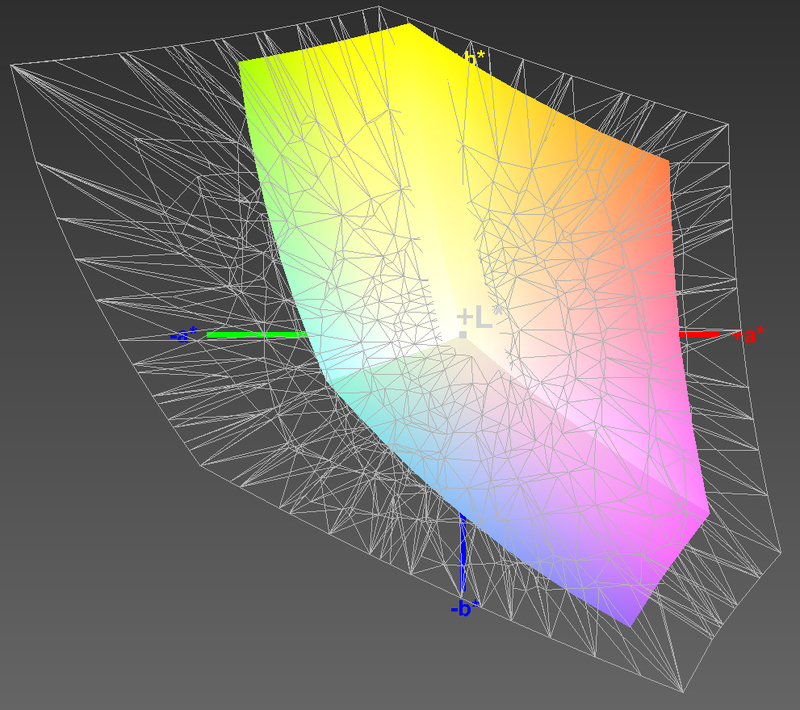 The hardware configuration cannot cope with most 3D games. Only a few titles achieve a smooth frame rate - in a low resolution and low quality level. These games include Sims 4 and Counter-Strike: Global Offensive. Games from the Windows store should mostly run without problems. The fan is usually inactive in idle mode, and only the hard drive's noise is heard. The fan speeds up when the laptop is loaded. We noticed that the fan produced a quiet whistling/whining noise that can quickly get annoying in the stress test. This was, however, not observed during normal laptop use. The Asus X551MAV that we recently tested operates quieter in total. The EasyNote performed the stress test (Prime95 and Furmark run for at least one hour) in AC and battery modes in the same manner. While the CPU clocked with full speed, the GPU operated with 720 MHz. The casing did not get excessively warm; the temperatures remained clearly below 40 °C at every measuring point. The Asus X551MAV's temperatures are overall lower. The stereo speakers are installed on the EasyNote's underside. Their output tends to sound slightly muffled-tinny. Speech is well-intelligible. A better audio experience can only be achieved with headphones or external speakers. Like the Asus X551MAV, the EasyNote has a low power requirement of below 10 watts in routine use. 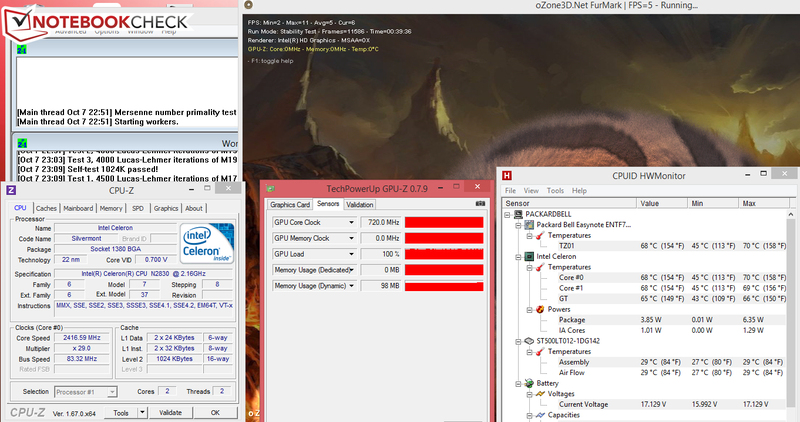 The laptop consumed up to 16.9 watts during our stress test (Prime95 and Furmark run for at least one hour). We noticed that the EasyNote has a slightly higher energy requirement than the X551MAV over the entire load range. Asus seems to have a better control over the power management. The EasyNote surprises with its battery life. The combination of an energy-efficient CPU and high battery capacity (53 Wh) provided us with a runtime of 7:09 h in our practical Wi-Fi test. Many considerably higher-priced laptops cannot compete with this. Even the Asus X551MAV is far remote from that (4:04 h). Websites are opened automatically every 40 seconds in the Wi-Fi test. The energy-saving profile is enabled, and the screen's brightness is set to approximately 150 cd/m². 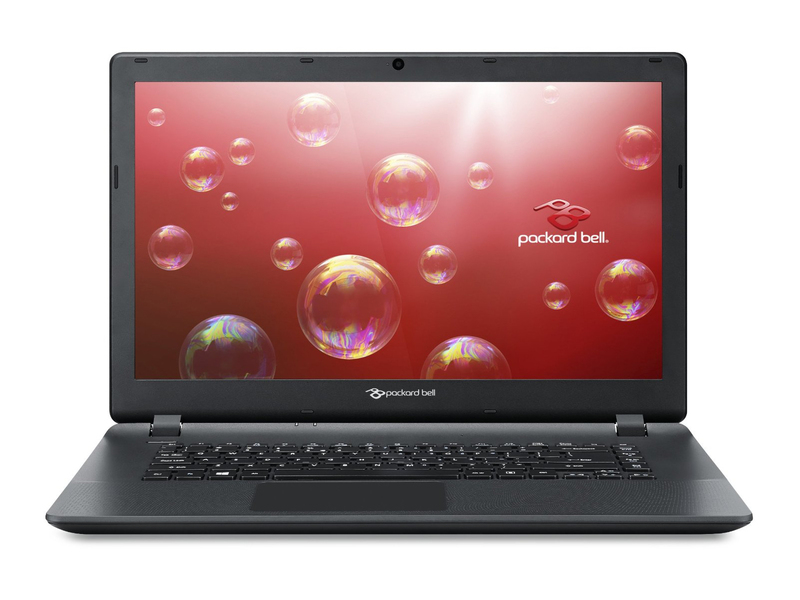 Despite its low price, the buyer gets a decent laptop with Packard Bell's TF71BM-C8R1, which is suitable for basic office and Internet applications as well as for video playback. The very good battery life alongside a matte screen and a relatively good keyboard even make using it as a mobile typewriter possible. The screen pleases with its matte surface and decent contrast rate. However, its brightness is very low at the same time, and it only offers unstable viewing angles. Acer considerately includes a two-year warranty on the laptop. An alternative for the EasyNote would, for example, be Acer's Aspire E1-532 (Celeron 2955U, HD Graphics (Haswell)). It has more computing power than the EasyNote and is presently sold for approximately 250 Euros (~$320, without a Windows operating system). Lenovo's G50-45 (AMD A6-6310, Radeon R4 (Beema)) is also an alternative with AMD innards. It costs around 300 Euros (~$384). Asus' X551MAV-SX391B based on identical hardware is also available for 300 Euros (~$384, including Windows 8.1). Update 10/10/2014: Acer informed us today that the EasyNote only has one working memory bank. In case of an upgrade, the existing module would therefore have to be replaced. We adapted the corresponding parts in the text. 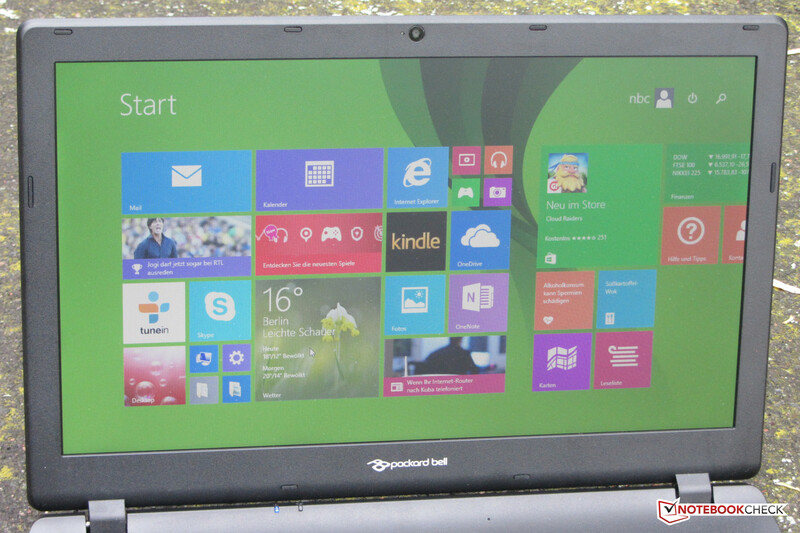 In review: Packard Bell EasyNote TF71BM-C8R1. Test model courtesy of Notebooksbilliger.de. The matte screen and long battery life. A brighter screen and a maintenance cover. That a two-year warranty is included on the device despite its low price. Asus X551MAV-SX391B, Lenovo B50-30, Lenovo B50-45, HP 15-g005ng, Lenovo IdeaPad G50-45, Acer Extensa 2510-34Z4, Acer Aspire E1-532, Packard Bell EasyNote TE69HW-29574G50Mnsk.